"Parasola" was created as a tribute to the photographer, Ren Hang, and originally published in the anthology book, Strange Plants III. 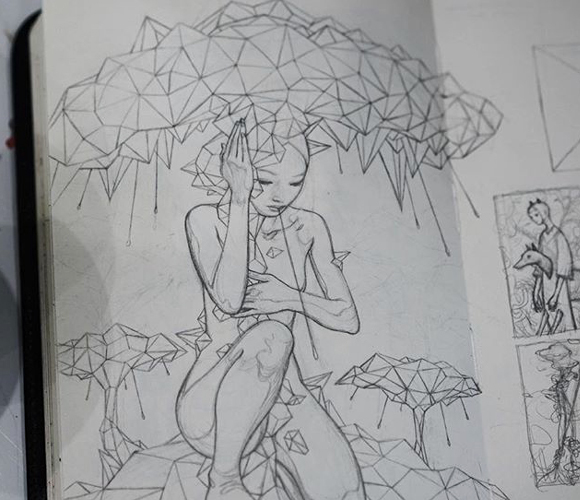 Emanating from the figure, the polygonal structure stretches over her body like a weeping mushroom, an umbrella that shields her from the ultraviolet skies." Jean draws the female figure with the exquisite lines he is known for. The outline drawn by Jean is carved to produce smooth, raised lines. 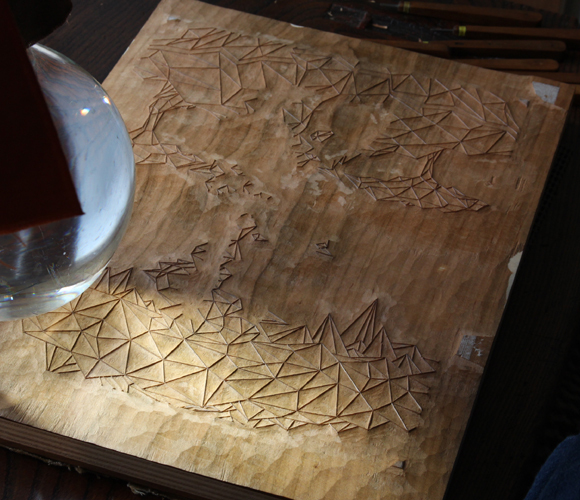 The woodblock carved for that part of weeping mushroom with polygonal structure. The woman's face looks like praying. The gradation enhances Jean's mysterious atmosphere. 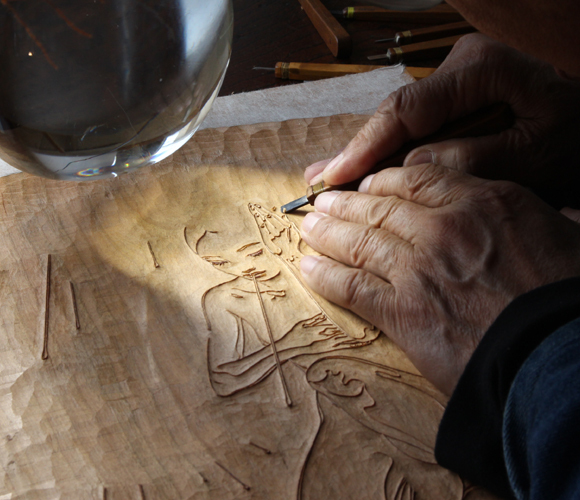 Focusing all of his attention on the point of his knife, the carver creates smooth, elegant lines. 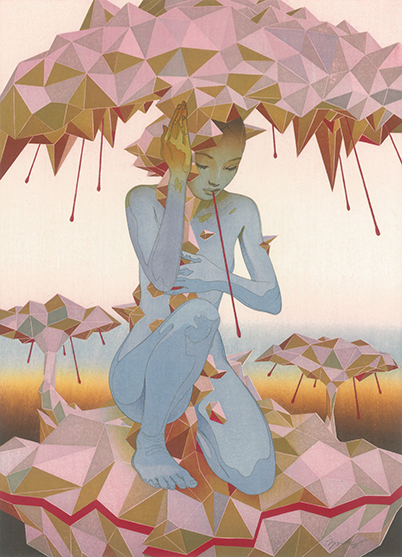 Always viewing everything in the universe from his own unique perspective, James Jean fluidly expresses his world view through beautiful lines. 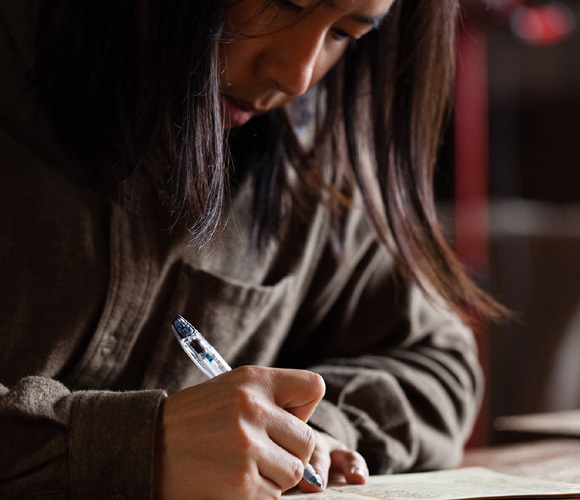 The carver deciphers the intention of the artist, James Jean, and rhythmically carves the gracefully flowing lines. 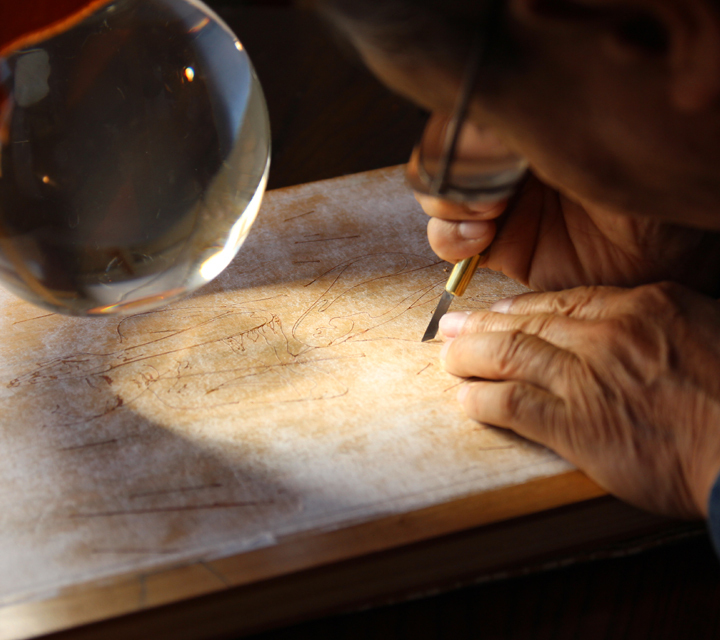 The carver's intense focus and precision is required for the work of carving delicate lines with a single knife. 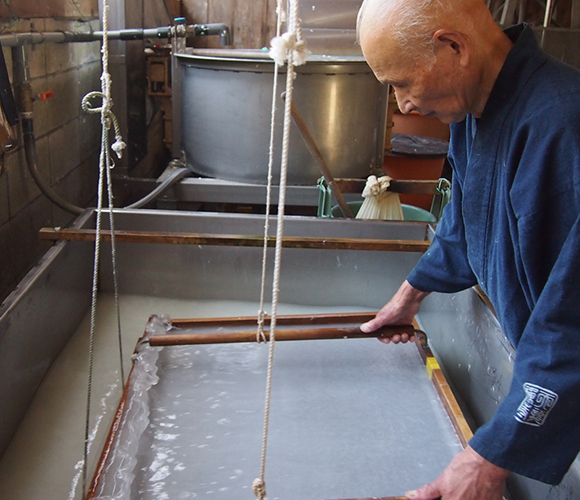 Light and brilliant colors are born from materials and techniques that are unique to Japan. 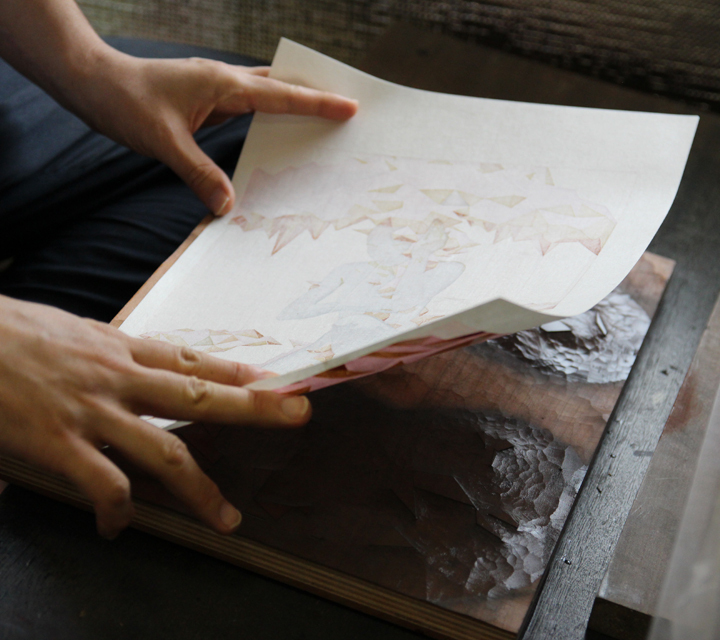 The light and brilliant colors of traditional woodcut prints is produced by using a Baren rubbing pad to rub water-based paints into the fibers of the paper, which is carefully handcrafted from paper mulberry. 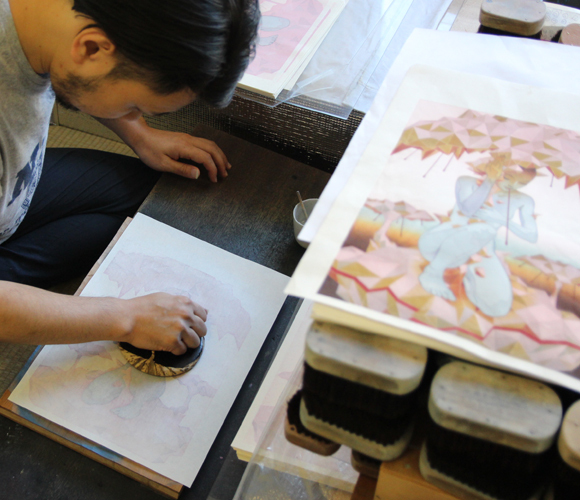 The printer feels the world view of Jean and his artwork "Dolly Varden" as he mixes and prints the colors on top of one another. 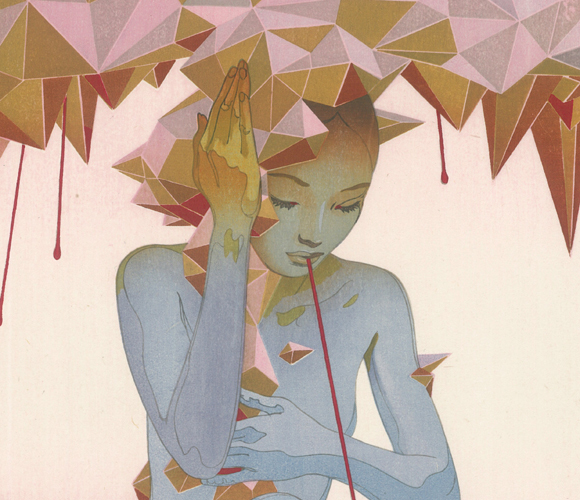 James Jean was born in Taiwan and currently lives and works in Los Angeles. 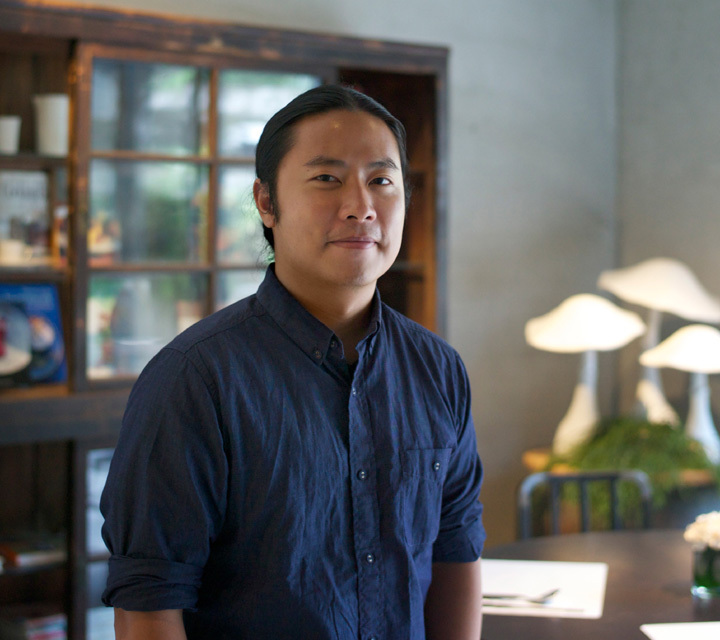 Renowned for his virtuosic ability to work across different genres with an imaginative and multifaceted approach to image making, he has held exhibitions of his fine art in New York, Los Angeles, London, Hong Kong and Tokyo. 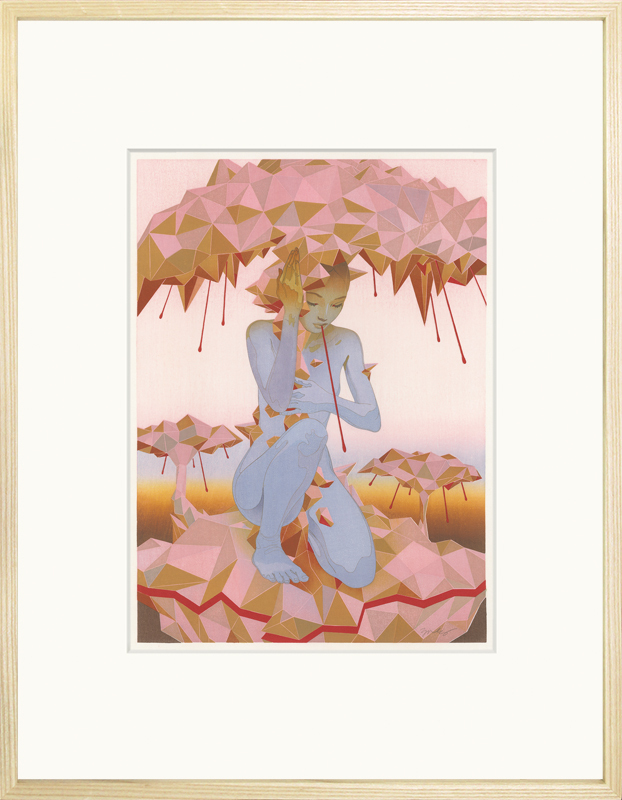 Jean fuses contemporary subjects with aesthetic techniques inspired by traditional Chinese scroll paintings, Japanese woodblock prints, and Renaissance portraiture. 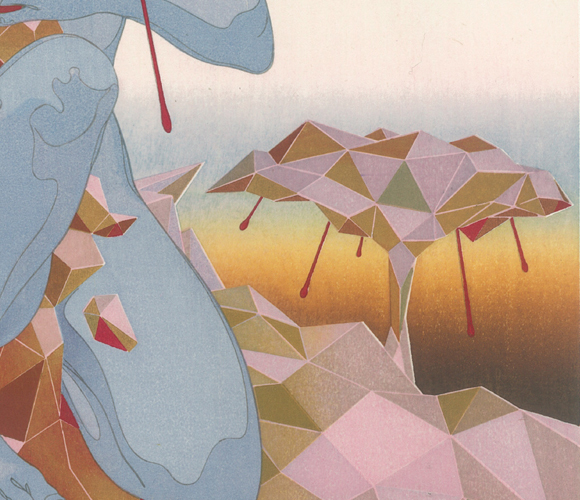 By experimenting with different styles and art-historical genres, Jean depicts detailed cosmological worlds that focus on both individual and universal experiences. Layered with imagery drawn from contemporary culture and age-old allegories, he imagines a collective realm of mythological proportions. After a groundbreaking collaboration with Prada for their fabled Spring/Summer 2008 collection, Jean returns for Prada's Resort and Spring/Summer 2018 collection. Jean also worked closely with Guillermo del Toro on the poster for the Oscar-winning film, The Shape of Water.